February Popsicyles, Icicles and Dreamsicles….well dreamsicles salad to be exact. I thought of making the salad using strawberries and strawberry jello since it is February after all and Valentine’s Day is just around the corner….and everything (except the snow of course) is feeling all Valentine-ey! 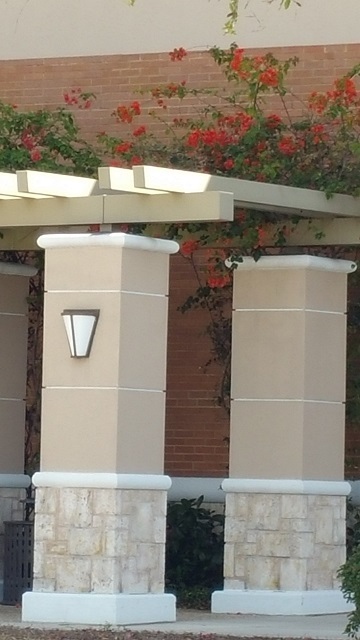 Red Bougainvillea plants growing up and over a arbor of sorts in front of one of our Target stores….See? 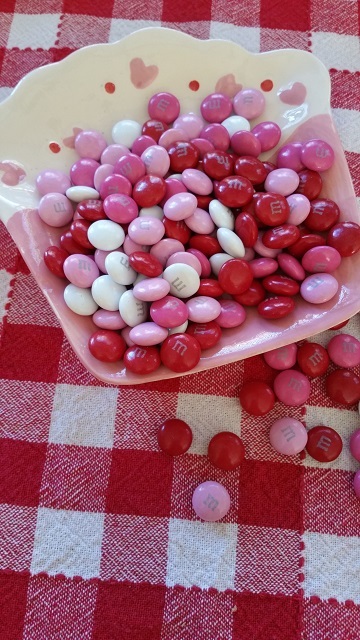 Valentines are everywhere! However, after seeing all the snow in Boston and other parts of our country…I thought something summer-ey would be just the ticket. You would think I might be considered “hip” or something…..only, I don’t think the word “hip” is used anymore so I will push on. Below I have a printable recipe for sugar free Dreamsicles Salad and it not only looks good…it is good. 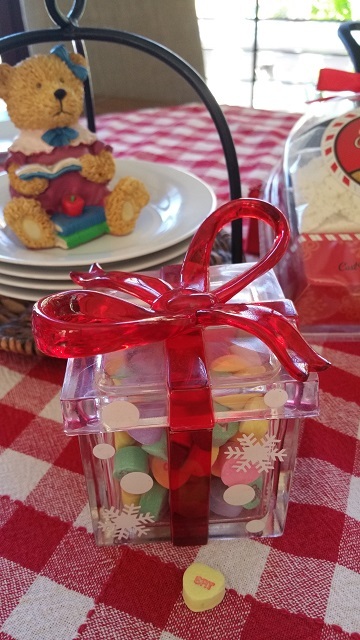 I have also included a few decorating ideas for Valentine’s Day…I bet if you look around your home, you will find a container or two that would hold a few chocolates or Valentine Candy. 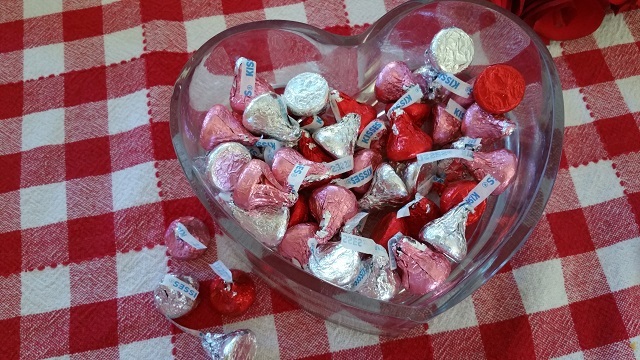 Who doesn’t love chocolate kisses…candy, that is? 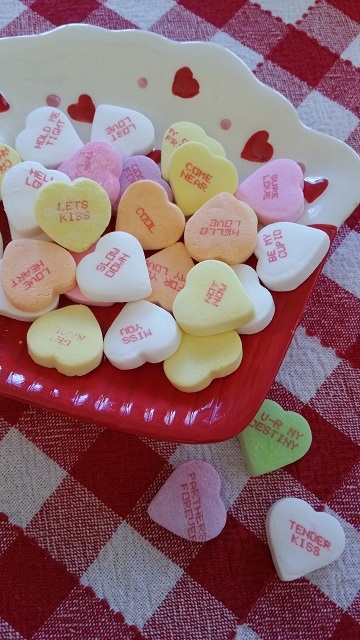 So even if you don’t decorate for this romantic holiday…you can still make it feel like Valentine’s Day…if that is your desire. Enjoy this wonderful salad and dream of Spring and Summer! 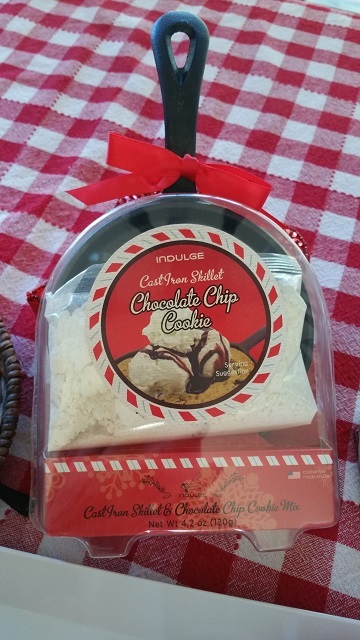 I borrowed this little candy box from my Christmas Collection….look closely at the snowflakes on the sides of the dish. ;)…but it works, especially if it is snowing on Valentine’s Day! Do you, my dear readers…. 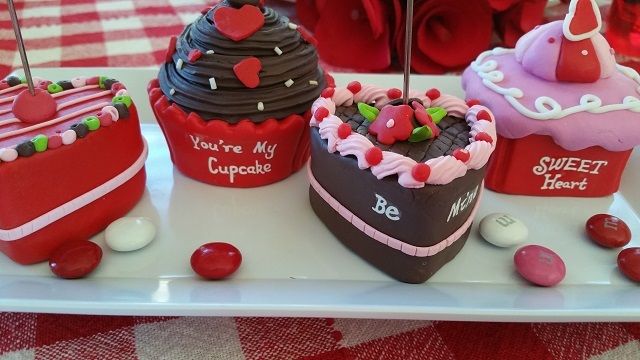 like to decorate for Valentine’s Day? If you try this recipe, I know you won’t be disappointed in the Dreamsicles Salad! I love mandarin oranges! And this salad is soooo easy and it is pretty too. Of course you could use the regular jello rather than sugar free...but why would you when this tastes so good with sugar free jello and instant vanilla pudding? Dissolve jello in 1 c. boiling water. Add 1/2 cup of cold water and mix to dissolve. Place jello in fridge for about 20 minutes allowing to gel a bit. Add the food coloring to the whipped topping if desired and set aside.